Depending on available space, St. Louis Public Library may offer bulletin boards, tables or racks that offer community information. Postings may be of an educational, cultural or charitable nature. Campaign materials, commercial materials or materials resulting in personal gain are not permitted. 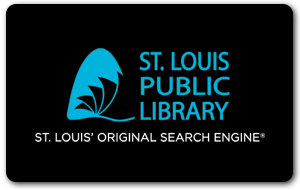 The Library will give preference to materials that originate from St. Louis City organizations, announce events, activities, and services in a timely fashion and are of a suitable size and, in the case of handouts, of suitable quantity. Managers must approve each item for posting or free distribution. Materials posted or left for free distribution without approval from the Library will be discarded. Posting of campaign or political signs on buildings or grounds rented or owned by the St. Louis Public Library (including easements) shall be allowed twenty-four hours before the election and limited to those properties which are polling places. All such signage must be in accordance with Federal, State and local election law and be removed within twenty-four hours following the election.